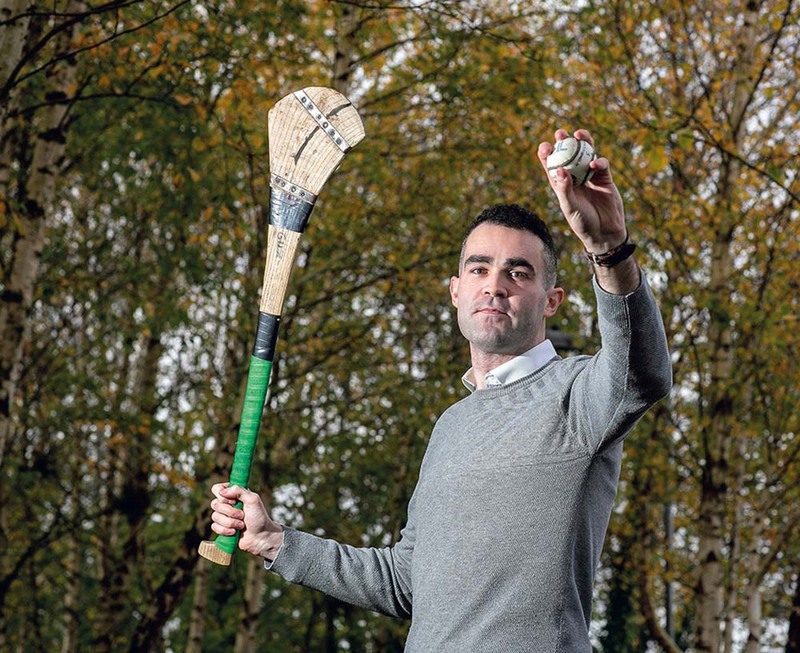 John Conlon will captain Clonlara in the county final. Photograph by John Kelly. 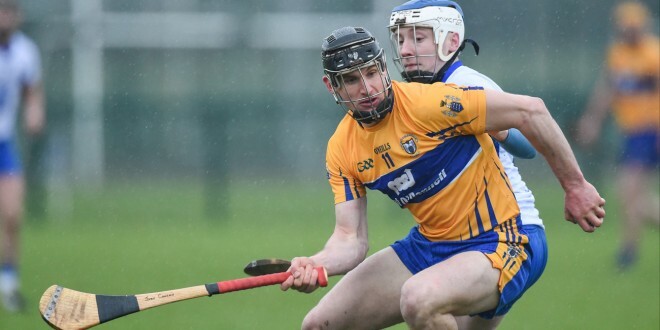 Clare booked a place in the Munster senior hurling league final when they recorded a merited eleven point win over Waterford at the very impressive Waterford I.T. Sports complex at Carrickanore in Waterford city. Clare play their final game in the league section next Saturday evening when they travel to the Gaelic grounds to play their Shannonside neighbours Limerick who had a good win over Cork this week. Cork, Limerick and Waterford remain in contention for the second final spot and the outcome of the postponed tie between Limerick and Waterford which goes ahead on Tuesday evening at the Gaelic Grounds, will go a long way to determining who will go through to the final. In Sunday’s game, played in driving rain and cold conditions, the visitors were nine points clear at half time after playing with the aid of the wind. An experimental Waterford side started well and made life difficult for Clare in the early stages. Darach Honan gave the Claremen the lead after five minutes but Thomas ryan levelled for the home side when converting a 25m free five minutes later. Honan put Clare back in front a minute later and from here on they were never headed. A goal from David Reidy in the twelfth minute stretched Clare’s lead and when they went to the break leading on a 1-12 to 1-3 lead, they were well on their way to a third successive win in the competition. Waterford gave their followers hopes of a win when they struck for a goal, somewhat against the run of play, from Andy Molumpy ten minutes from the break, a score which came after Thomas Ryan had made a great run through the centre. 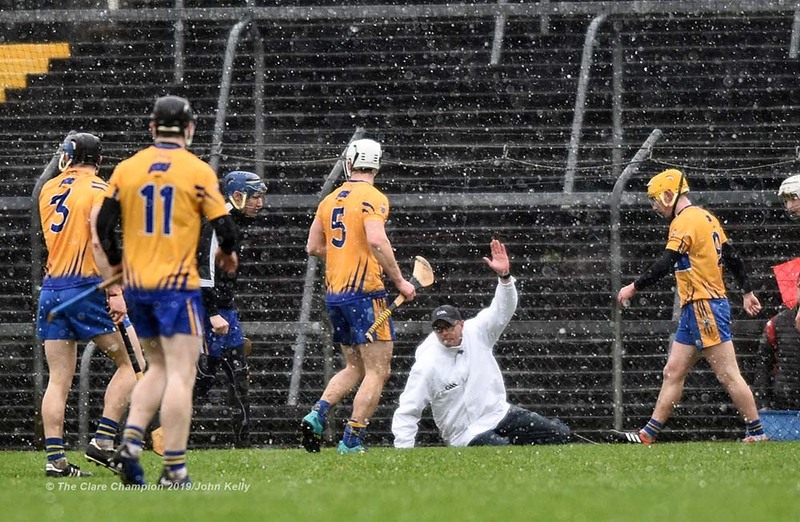 With the advantage of the elements in the second half, Waterford were expected to make inroads into the Clare lead but the opening point of the second half came from Clare’s Michael O’Malley and served notice of Clare’s determination to extend their winning run. By the end of the third quarter they had stretched their lead to twelve points and there was no way back for Waterford after this. Colin Ryan again top scored for Clare with 0-7 to h is credit while John Conlon landed 0-5 with his Clonlara clubmate, Darach Honan scoring 0-4. David Reidy was the goalscorer while Michael O’Malley (0-2), Cathal O’Connell and Tony Kelly (0-1) were the other Clare scorers. Clare were also in action on Saturday when they played a challenge game against Munster club champions, Na Piarsaigh at the Limerick club’s grounds. A high scoring game ended all square with Clare on 3-21 against 1-27 for the Limerick and Munster champions. On the plus side for Clare, Brendan Bugler and Cathal Malone returned to action following long lay offs due to injury. However, All-Ireland winning 2013 captain Pat Donnellan had to be helped from the field having suffered a leg injury and management are anxiously awaiting the results of a scan as to the extend of the injury. The final of Munster hurling league is scheduled for January 31. Attention now switches to football and the McGrath cup final in which Clare will take on Cork on this Friday evening at Mallow sports complex at 7.30p.m. A toss of a coin on Friday last to decide the venue went in favour of the Leesiders.